Warm and welcoming, American Cherry gives off a distinct aura of class. Freshly cut, the wood is of an orangey cast. However with exposure to sunlight, the tone of the wood will darken to a deeper, more pronounced reddish-brown colour. This sensitivity to light is one of the many charming characteristics of Cherry wood and allows each and every American Cherry floor to evolve, over time, into a unique work of art. The Prestige grade denotes wood that exhibits some of the highest consistency in terms of color and character. Flooring in the Prestige grade has the longest average length and presents the selected features for which the species is known. SKU: APP002. 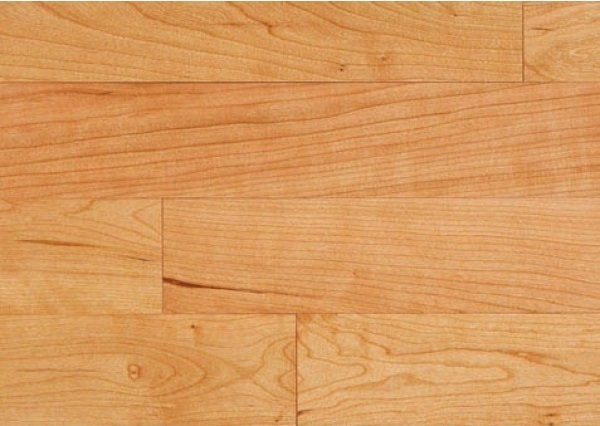 Categories: Appalachian Flooring, Brands, Hardwood.